When your heater bogs down, you need urgent help to fix the problem. You can always call the first heating contractor in Salt Lake City, Utah you’ll see. But to give you peace of mind, it’s important to find the best contractor to do the job. Always look for the track record of heating repair in Salt Lake City, Utah license before hiring a contractor. Also, ask about their insurance and training to ensure that your unit is with the right hands. Make sure that they have experience repairing heaters before. If possible, look for online reviews about their service to see what previous customers have to say. The Better Business Bureau (BBB) is a non-profit organization that upholds the standards of various industries. They assess customer reviews and the quality of service of a certain company. If you have prospective heating and air in Salt Lake City, Utah contractor, take a moment to see if they have the BBB accreditation. This isn’t a requirement but it will be a plus point for the contractor you’ll hire. If you want proof of a contractor’s reliability, you can always ask your friends and family if they know a company you can hire. For sure, some of them had availed heating repair services in Salt Lake City, Utah before. Ask them how the service went and if they are satisfied. Word of mouth is by far the most reliable way to find a decent contractor. Does the contractor show respect and care during the first home assessment? Does the technician take the time to check what’s wrong with your heater? Hiring a contractor that cares for your home is a must. This will reflect on their service and dedication to the quality of work. Also, consider only contractors that will give free quotes without obligations. If a heating contractor in Salt Lake City, Utah, forces you to sign up right away, look for another option. Avoid too good to be true promises. It’s normal for heating repair in Salt Lake City, Utah services to run promos and discounted deals. However, if the promo is too good to be true, say more than 50% off, you may want to reconsider. You should look into possible hidden charges. Very cheap prices might mean that the technician is cutting back on the quality of work. 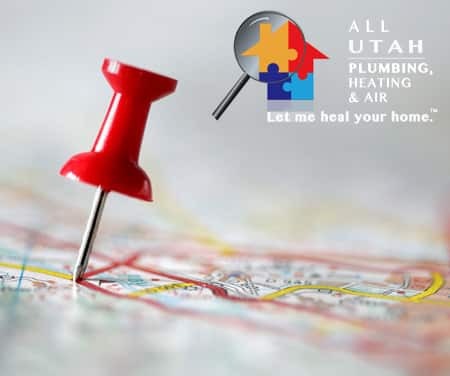 Why Choose All Utah Plumbing, Heating and Air? All Utah Plumbing, Heating and Air is an expert in heating and air in Salt Lake City, Utah. Over the years, we have a long list of satisfied clients. In fact, we already received the Better Business Bureau accreditation as proof of our unwavering dedication to quality. Our lines are always open for emergency services. We know that HVAC problems can occur at any time of the day. And to help you out, we will be your on-call technicians to take on any heater problems that you have. Rest assured that our technicians are licensed, bonded, insured, and continuously trained for new technologies.